Having lived and worked in Warkworth for over 18 years Jaynie can definitely be called a local! 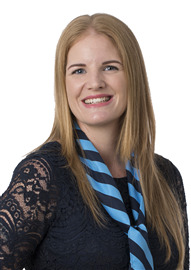 Jaynie has spent nine years in the real estate industry firstly in Office Administration then moving in to Property Management. 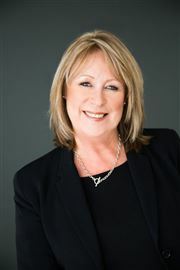 Jaynie is a valuable team member who is continually striving to get the best possible result for all her clients. She takes a no nonsense approach to Property Management and is definitely proactive rather than reactive – an important quality in this industry. Jaynie takes care and consideration with routine inspections & is meticulous with follow up - her clients are regularly complimenting her on the reports. 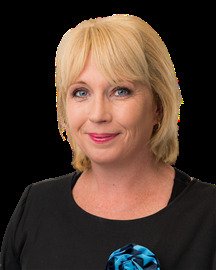 Pauline has been part of the Harcourts office in Warkworth for nearly 15 years. Her knowledge, experience & commitment to her role is outstanding and she always provides an exceptional level of service. Having the primary role of Financial Administrator she is responsible for receipting all rent monies, disbursing rent to owners, running month end processing & reporting, lodging bonds, paying creditors & so much more! These tasks demand 100% trust and honesty and Pauline absolutely meets this requirement. Often being the first point of contact Pauline always makes people feel welcome, nothing is too much trouble and she always goes above and beyond expectations. The support she provides to all property managers, tenancy managers, sales team & business owners goes way beyond her job description. Always first in the office and often last to leave nothing is ever left for the next day. Pauline has a thorough and detailed understanding of Palace is always up to date with any upgrades or changes to the system.